Life can take its toll on your teeth. Almost everyone discovers that they have a cavity at one time or another. 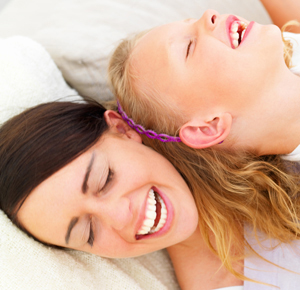 Early detection of tooth decay and cavities is important for patients of all ages. Consistent exams, cleanings, dental sealants and conservative repairs can help keep the teeth’s natural strength and beauty without the use of metals or waiting for things to become worse and more difficult to treat. Remember, dental decay is the number one chronic disease of children, so don’t put off a healthy start for your child. Some types of teeth need a little more care and attention than others. Some people, for example, have deep grooves and fissures in their molars. These grooves collect plaque and keep it there. And since the bacteria found in dental plaque causes tooth decay, the longer the plaque remains on a tooth’s surface, the more likely it will be able to form a cavity. By bonding sealants of plastic resin into the grooves, our dentist can make the surface of your tooth smoother and so much easier to clean. This is an especially important procedure for children who may not to brush well enough or have a history of dental cavities. We offer all restorations, from metal-free fillings and bonding to inlays, onlays and crowns, to provide cavity treatment and keep your mouth healthy, whole and, best of all, beautiful. As always choosing the filling that is right for your particular circumstance requires us to work in partnership to decide. This is something you can always count on us for. Are you in need to cavity or tooth decay treatment? Contact us today to schedule your appointment.